What more can you ask for? 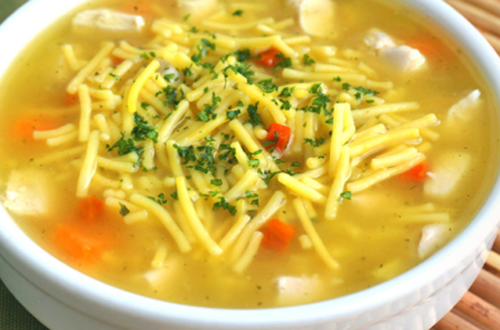 With Knorr Chicken Noodle Soup, you can feel the warmth of your mom’s care. Perfect for rainy days! 1 Use a pack of Knorr Chicken Noodle Soup and allow it to boil in a liter (4 cups) of water for just 5 minutes. Make sure you keep your saucepan partially covered. Stir the soup from time to time. 2 Serve hot and enjoy with family. You can truly say that the simplest dishes are the most special.